The United Nations is calling Syria the worst humanitarian crisis of our era. The country was once one of the world’s largest hosts of refugees, where nearly every child went to school. After four years of a brutal war it is now the largest producer of refugees, where more than four million people have fled the country. About two million of those refugees are children, of which nearly half don’t attend school. Many have witnessed unimaginable horrors back home, and now live in squalor in neighbouring countries. But behind the misery are the invisible wounds of the war: the psychological ones. The United Nations Refugee Agency (UNHCR) recently said that millions of Syrian children are suffering from trauma. A 2014 report from UNICEF pointed to one survey which found that a third of Syrian children displayed aggressive behaviour and self-harm. The same report warned that without help, children were at risk of drifting into crime, addiction, and violence, and that some are joining criminal gangs or other armed groups. We travelled to Jordan to meet with Syrian psychiatrist Dr. Mohammad Abo-Hilal to see how his organization, The Bright Future for Mental Health, is helping Syrian children there. Abo-Hilal is himself a refugee, forced to flee Syria after being arrested and tortured by the Bashar al-Assad regime shortly after the 2011 Arab Spring. He arrived in Jordan with his wife and three young children, and a mission to create an organization run by Syrians, for Syrians, that could help transform his fellow refugees from victims into survivors. While the organization helps other vulnerable groups like women and the disabled, most of the programs are for children. We saw group sessions where children learn skills to cope with the symptoms of post-traumatic stress disorder. They are taught to visualize a safe space, they learn relaxation techniques, and they are encouraged to confront bad memories and experiences by drawing them. Over time, many learn to manage their thoughts and emotions, while more serious cases are referred for specialized treatment. But Abo-Hilal is quick to point out that his organization does not focus only on trauma. They also offer a variety of psychosocial activities that help children deal with the challenges of being refugees. In this sense, his organization’s work mirrors the international standard in responding to humanitarian emergencies, which has seen the focus shift from treating trauma to improving the recovery environment. 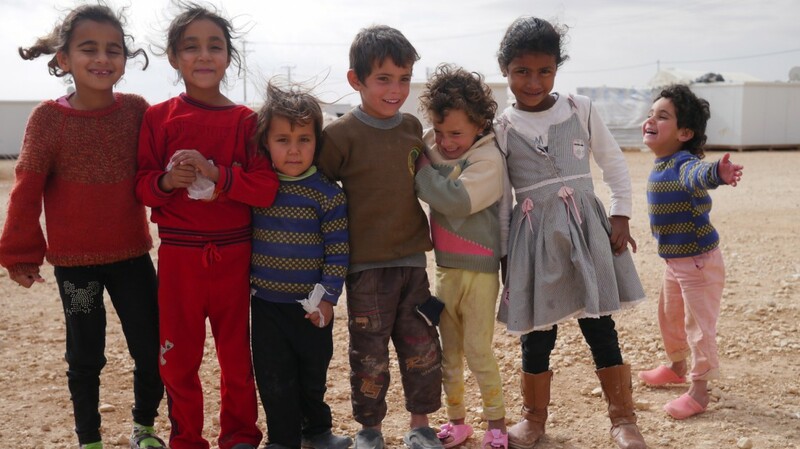 In the Za’atari Refugee Camp, home to nearly 50,000 children, Bright Future is providing a development program for teenagers, awareness sessions on underage marriage and gender based violence, and safe spaces for younger children to play. In addition to their work in Za’atari Refugee Camp, Bright Future has two clinics, in Amman and Irbid, the two cities with the most Syrian refugees in Jordan. The organization is now expanding to Turkey, which hosts the largest number of Syrian refugees. War has been instrumental in the history of psychiatric treatment for trauma. The notion of “shell shock” amongst soldiers was first identified during World War I, and led to the development of psychological interventions that became widely applied. In the United States, the National Institutes of Mental Health grew out of a recognition during and after World War II that the government was not adequately prepared to research and treat mental health disorders. By the 1980s, there were interventions in war zones all over the world, with a specific focus on treating acute mental trauma, which had by then been termed “Post-Traumatic Stress Disorder” (PTSD). The focus of much of these early treatments was on medication and counselling. It was not until the 1990s, after the genocide in Rwanda and the Balkan Wars, that the mental health community began to realize removing traumatized individuals from their traumatic environments was critical to recovery – by first meeting basic needs for the survivors like food, shelter and safety. Mental health support became more about helping survivors ‘reconstruct’ a normal life routine where the family stays together, where parents work while the children go to school or play. The needs of war refugees have also highlighted the broader deficiencies in mental health in many parts of the world. “The places where these sorts of tragedies occur… are often the same places where there is a very poor mental health care system before these humanitarian crises,” said Vikram Patel, co-director of the Centre for Global Mental Health at the London School of Hygiene & Tropical Medicine.